It sometimes hard to find a large swing seat for Adults to swing on. At Special Needs Play Equipment we have all types of Special Needs Adult size swing seats to choose from. 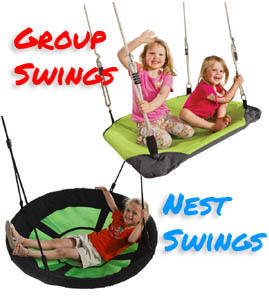 We understand that every ones needs are different when choosing a swing seat for adults & children with special needs so that's why we have sourced all the very best adult special needs swings for you to choose from.